NextGen Gaming has taken the 2017 King Kong: Skull Island box office movie and turned it into a fun and interesting video slot titled King Kong Fury. This slot comes with some exciting and rewarding bonus features such as the Raging Respins and Kong’s Call features. Continue reading to learn about these features and others. 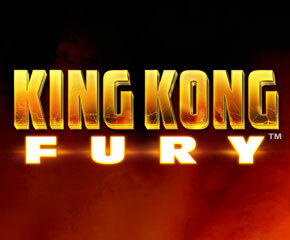 With King Kong Fury, you have 4 rows, 5 reels and 50 active paylines. Bets are first placed before you can click the ‘Spin’ button to begin playing. The minimum bet for each reel spin is 25p while the maximum bet is fixed at £500. Playing card symbols (A, K, L, Q, 9 and 10) are available as well as dinosaur icons that include triceratops, pterodactyls and tyrannosaurus rexes. The latter will award you with a 10 times stake multiplier when you land five on an active payline. King Kong himself acts as the Wild while Anne Darrow character is the Scatter. The Skull Island natives beat their drums and call out to King Kong in the Kong’s Call feature. 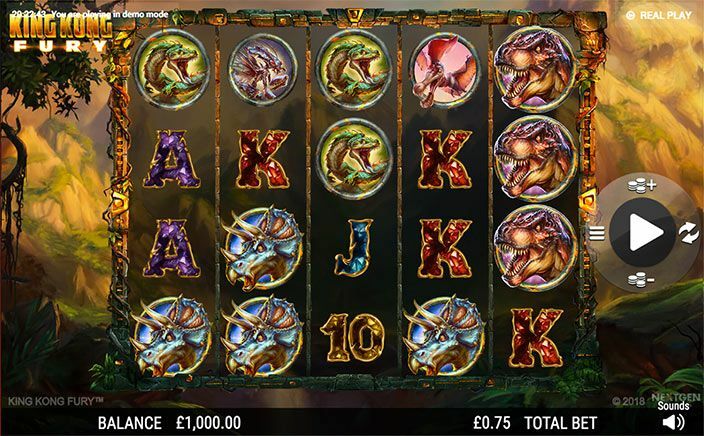 This is a base game feature in which Kong Wilds (maximum of 12) will be added to the reels for enhanced winning opportunities. A Lightning Reels bonus feature is also available in the base game of King Kong Fury. In this bonus feature, you have reels transform and become Wild. By so doing it will help boost the winning potential of players. Land of the Scatter symbol on reels 1 and 5 in King Kong Fury to activate the King Of Skull Island bonus feature. Players are rewarded with an instant 4 times win multiplier for landing the Scatter on reels 1 and 5 as well as 10 free spins for starters. In this feature, the Kong Wilds can be seen on a reel stacked and frozen in place for the duration of the free spins (Raging Respin feature). Players can increase their win rate and have their cash payouts boosted as result. This video slot has most of the elements of the movie. With the graphic design and animation closely resembling the film and also a music score that is quite similar to that played in the movie. The gameplay is fun, rewarding and addictive as well.